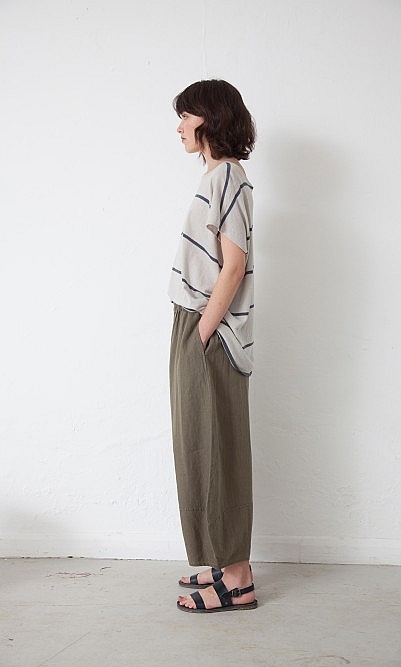 Oversized, boxy top in soft natural linen striped in narrow dark grey bands. Slash neck and slouch cap sleeves. L70cm. Fabric and care: 50% Linen 50% Cotton. 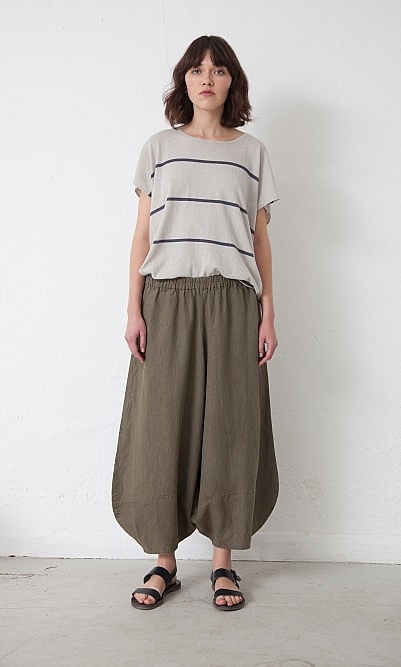 Gentle machine wash.
Model is wearing a size S/M (UK10/12).